It is common to assert that utility investors are compensated in the allowed rate of return for the risk of large disallowances, such as arise for investments found imprudent or not `used and useful'. However, this book develops a new theory of asymmetric regulatory risk that shows that infallible estimates of the cost of capital are sure to provide downward-biased estimates of the necessary allowed rates of return in the presence of such regulatory risks. 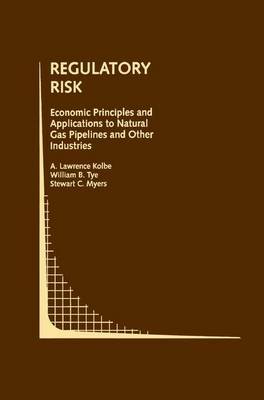 The book uses the new theory of regulatory risk to understand recent developments in the risk of natural gas pipelines and other regulated industries.